Johnny Bardot was at work on June 20, 2018, pulling a transmission out of a truck at Brad’s Towing in Bourbon, Mo. He remembers telling his boss that his chest was hurting. Brad and his wife, Carol, called 911 and North Crawford County Ambulance District was on its way. 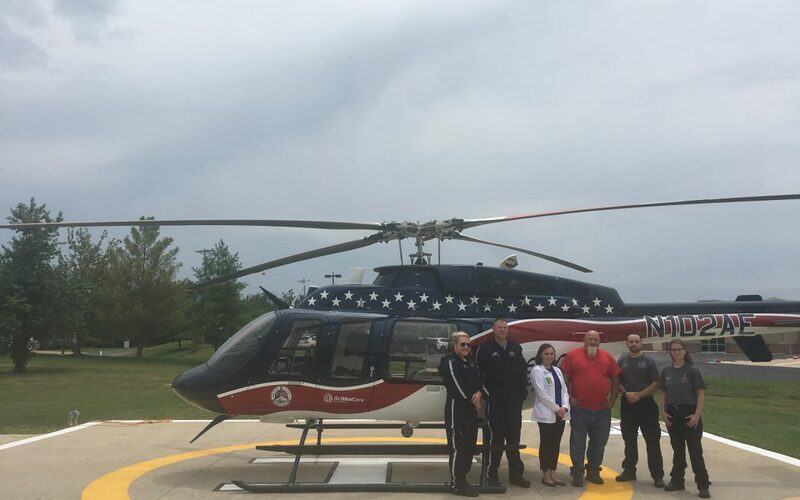 They picked Johnny up and met the Sullivan, Mo., Air Evac Lifeteam crew at a pre-established landing area. Air Evac flew Johnny to SSM Health St. Clare in Fenton – more than 60 miles in about 20 minutes. The right side of his heart was 100 percent blocked, and the left side was 80 percent blocked. Time is muscle, and STEMI Program Coordinator Amanda Clark knows the sooner a cardiac patient gets to the cath lab, the better his chances of surviving and having a good quality of life. Johnny received 3 stents in his heart that day, and two days later surgeons placed another stent on the left side of his heart. He went home days after his heart attack.